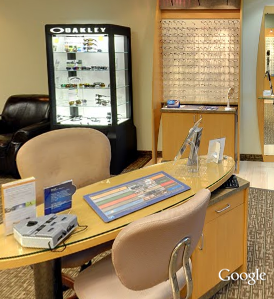 Get Easy Directions to Our Local Ashburn VA Eye Doctor? 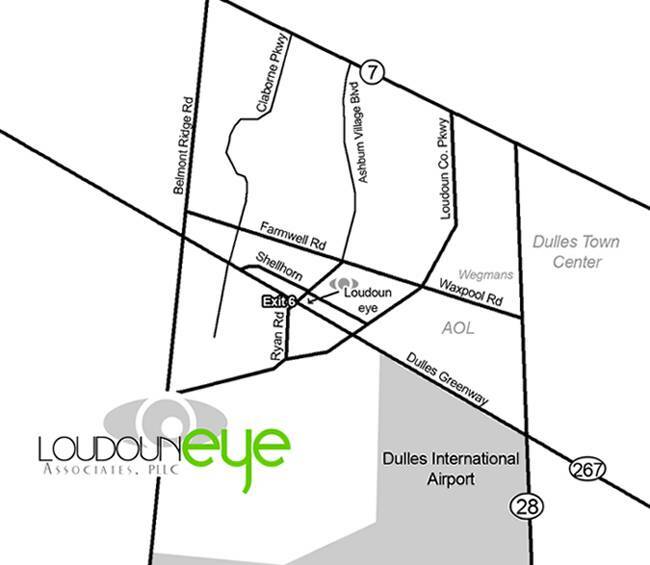 Conveniently located in the heart of Ashburn, Loudoun Eye Associates serves Loudoun County and the Washington DC Area including Brambleton, Broadlands, and Ashburn Village. Check out our hours, map, and contact details – then make an appointment with our eye doctor – or drop by our office on Yukon Dr. anytime to browse through our large selection of designer eyeglass frames and sunglasses. If you’re familiar with the area, you’ll find us easily in the Ryan Park Commercial Center, immediately off Exit 6 on the Dulles Greenway (RT-267.) If you’re not familiar with Ashburn, please type in your location and let Google Maps be your guide. Our vision center is located on the second floor of the office building that also houses Kaiser Permanente. Nearby landmarks include a Giant supermarket, Panera, Home Depot, and Beantree Learning. Note: Although you could easily drive to our office via RT-267, you DO NOT have to take the toll road to reach our office. There are many alternative routes to our optometry center. Click on the map below to get directions via Google Maps.